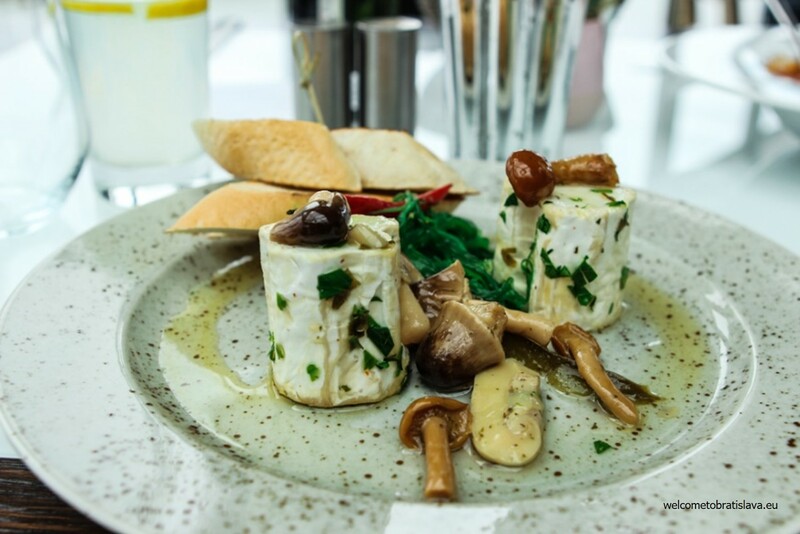 Are you looking for a stylish, modern but still affordable gourmet experience? What if we add a panoramic view and first class service to the menu? 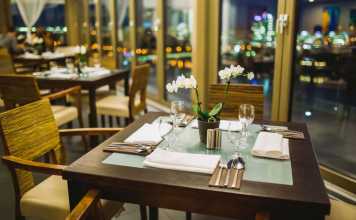 One of our recent „discoveries“ that we got to know better is Restaurant Parlament situated on the castle hill. 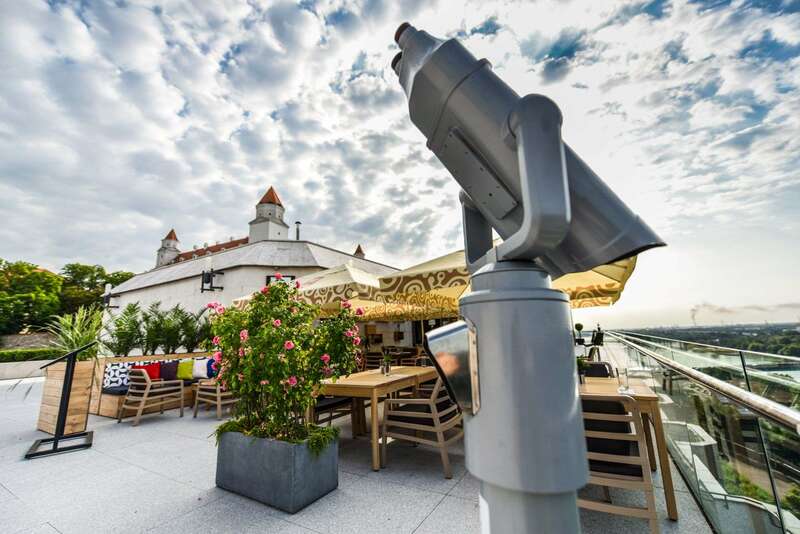 Whether you are visiting or living in Bratislava, you should definitely have this panoramic restaurant on your bucket list. Here’s why! 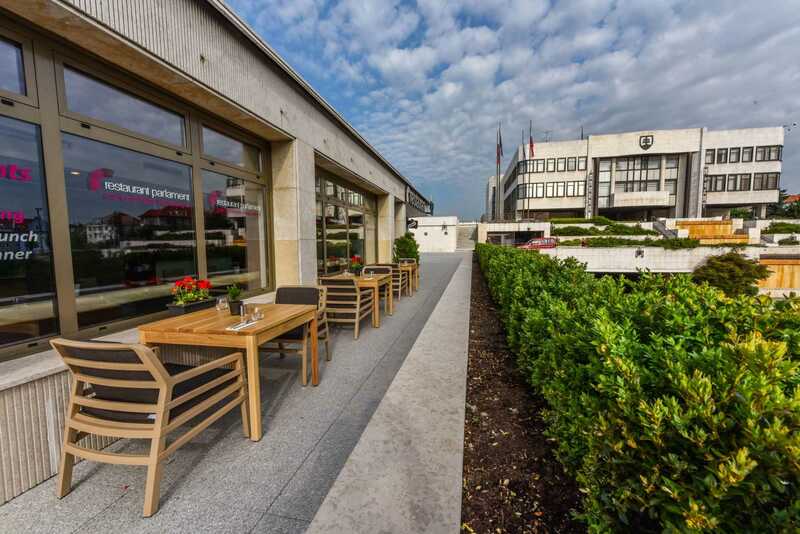 Restaurant Parlament is situated on the castle hill, right between the castle and the building of the National Council of Slovak Republic. We recommend to take a walk from the Old Town as this is how you get to see the streets Palisády and Zámocká Street with many historical buildings, embassies, language schools and small cafes. The walk will take around 10-15 minutes. 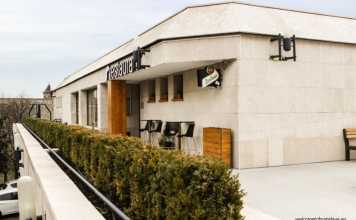 Those who like to use the public transport can take the tram number 203 or 207 from „Hodžovo námestie“ and get off at the „Zámocká“ or „Hrad“ stop. Thanks to its unique location, the restaurant offers one of the best views you can get in Bratislava. On one side, you get to admire the beautiful castle. From the other side, you get to see the Danube river, UFO bridge and Petržalka neighbourhood – the largest concentration of rough, concrete high-rise housing units known as “paneláky” across the landscape of a Central Europe formerly under communist control. 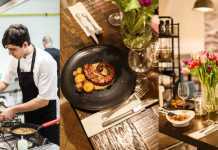 The restaurant is designed in a very elegant, subtle and modern style which creates a comfortable, yet stylish ambiance and makes you feel welcome from the start. The huge windows (with a panoramic view) dominate the premises, which are furnished with a mix of light and dark wooden furniture. 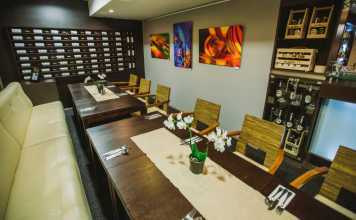 It is no surprise that the restaurant is often used for business events and family celebrations – people love to come here. And the first class service adds to your overall great impression! 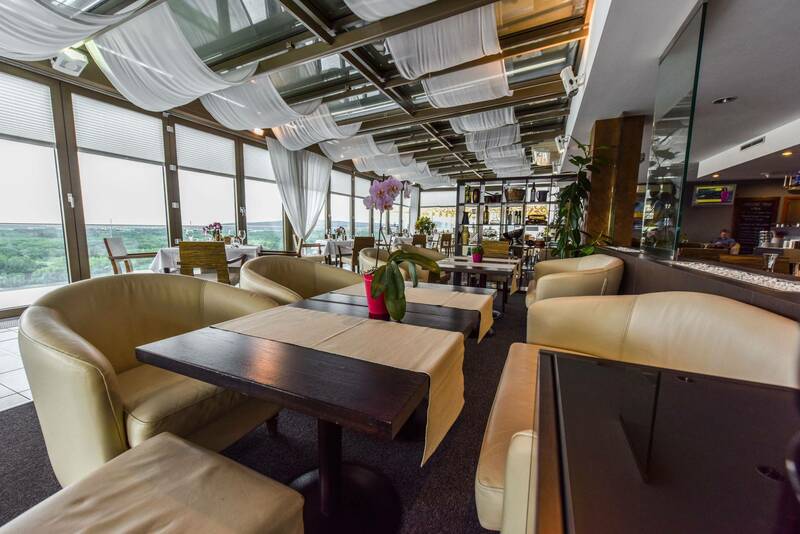 Even though the place can seat up to 70 people, you can also enjoy some privacy when booking their separate, panoramic lounge, ideal for smaller celebrations or gatherings. The lounge has free Wi-fi and comfortable wheelchair access. 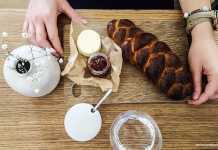 WHAT TO HAVE IN RESTAURANT PARLAMENT? Whether you come in the morning, during lunch time or for dinner, they have you covered. If you happen to be in the area first thing in the morning, try their „snack offer“ which is on Monday to Fridays till 11 am. Watching the city wake up with warm breakfast could be hardly better, don’t you think? 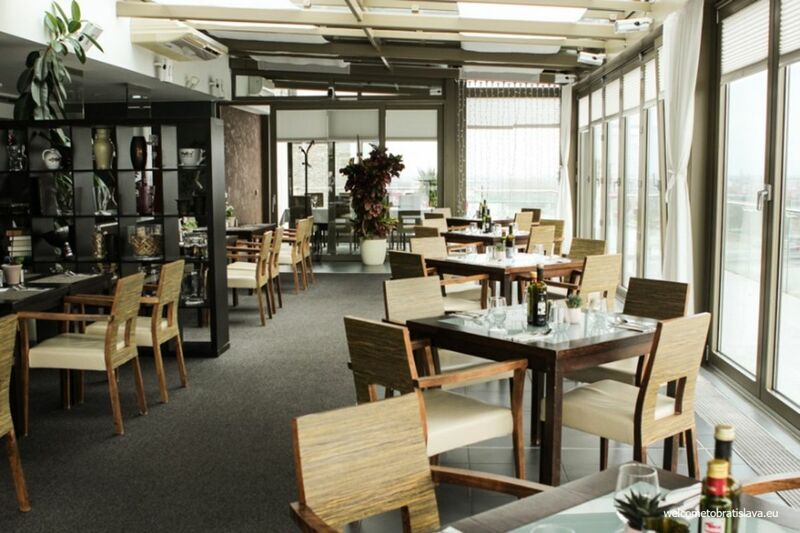 Restaurant Parlament serves regular lunch menus for lower prices compared to their a la carte menu, on working days. 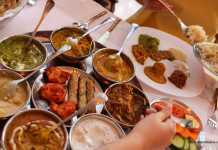 The guests can choose from two soups and there are always two main dishes – a meat and a vegetarian option. 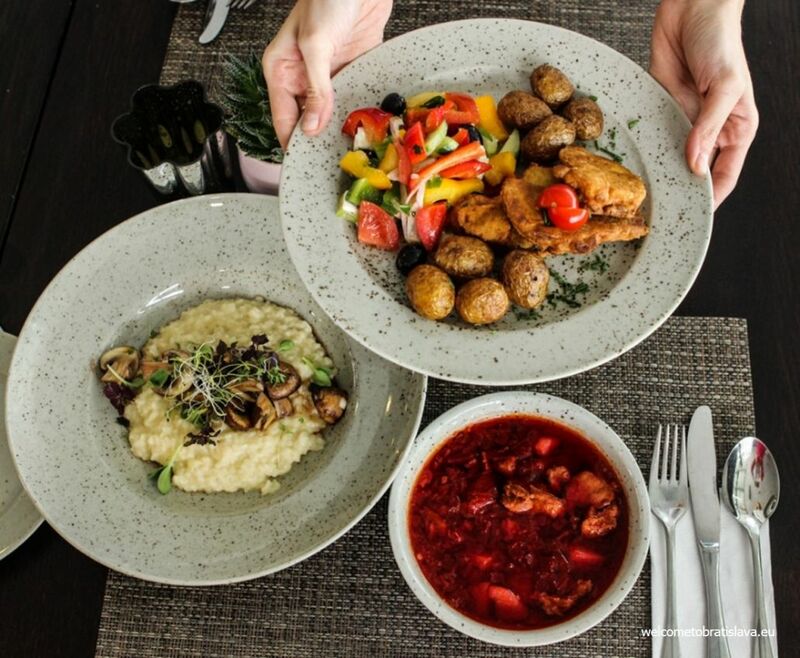 The whole 2-course lunch menu will cost you less than 6 €! 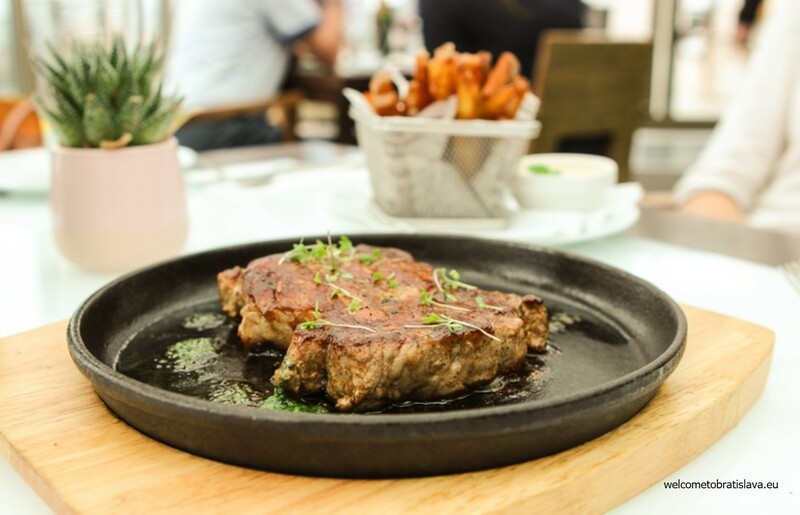 We definitely recommend to try some specialties from their a la carte menu though. 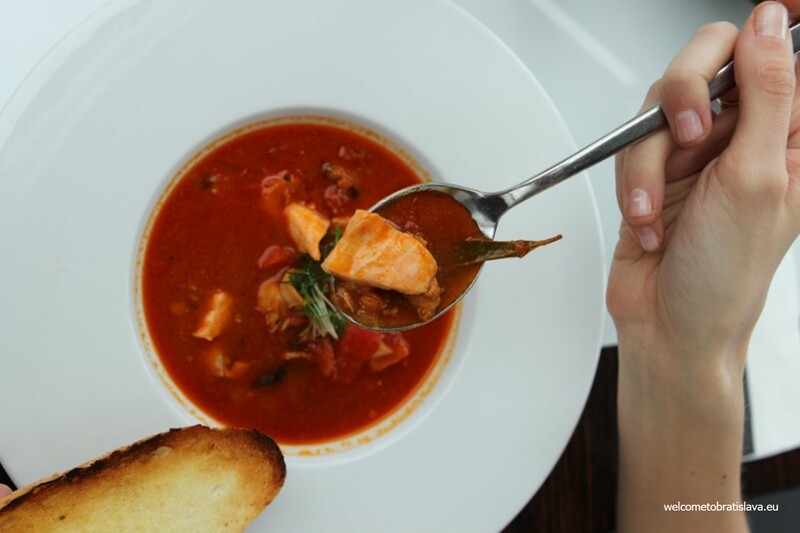 We’d die for their fish soup – which is quite a portion when you enjoy it with the toasted bread it’s served with. 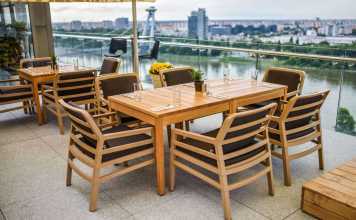 Fancy trying something Slovak? Try the goat cheese appetizer or the grilled fattened duck liver! There’s always room for a dessert, isn’t there? If you are planning your next cheat day, you know where to come. 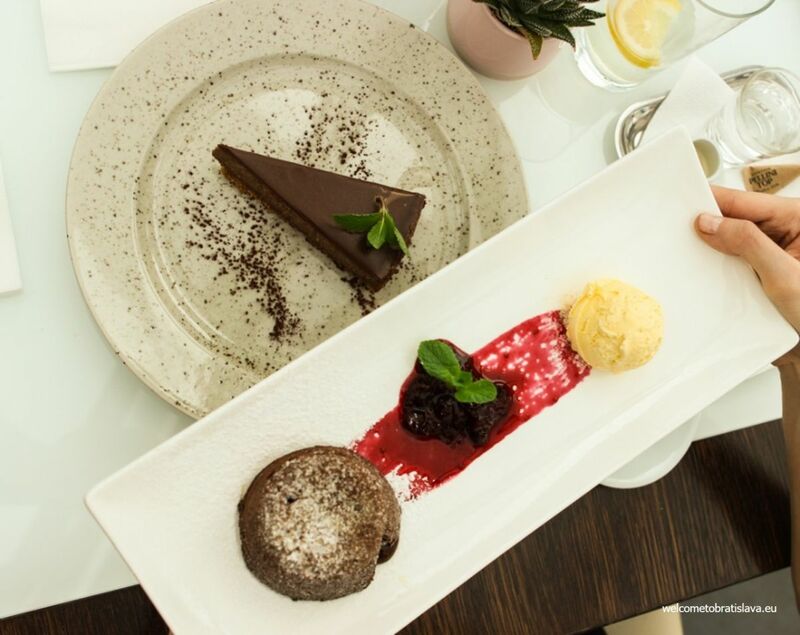 Their homemade desserts are always freshly ready to be served and are a true treat. Our favorite, you ask? Chocolate tart with marinated hot sour cherries and vanilla ice cream. Amen!